The book has four main parts. In the first part the discussion centers on inorganic synthesis reactions, dealing with inorganic synthesis and preparative chemistry under specific conditions: high temperature, low temperature and cryogenic, hydrothermal and solvothermal, high pressure and super-high pressure, photochemical, microwave irradiation and plasma conditions. The second part systematically describes the synthesis, preparation and assembly of six important categories of compounds with wide coverage of distinct synthetic chemistry systems: coordination compounds, coordination polymers, clusters, organometallic compounds, non-stoichiometric compounds and inorganic polymers. In the third part seven important representative inorganic materials are selected for discussion of their preparation and assembly, including porous, advanced ceramic, amorphous- and nano-materials, inorganic membranes, synthetic crystals and advanced functional materials. 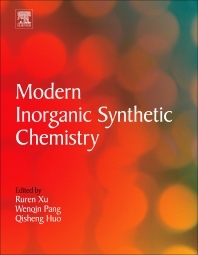 The last part of the book, which is also its distinct feature, addresses the frontiers of inorganic synthesis and preparative chemistry. These final two chapters introduce the two emerging synthetic areas. Included are approximately 3000 references, a large proportion of which are from the recent decade. Ruren Xu is a Professor of Chemistry at Jilin University, China. He is a leading personality in international material sciences and zeolite community. His work on the extra large-pore microporous aluminophosphate JDF-20 is a classical illustration of his innovative work. He is currently working on the formation mechanism and rational synthesis of zeolites and microporous materials. He was elected a member of the Chinese Academy of Sciences in 1991 and a fellow of TWAS in 2003. He has published more than 500 peer-reviewed papers and 10 books, including recently published “Chemistry of Zeolites and Related Porous Materials: Synthesis and Structure” and “Modern Inorganic Synthetic Chemistry”. Yan Xu obtained her BSc in chemistry from Jilin University, China and PhD in chemistry from the Royal Institution of Great Britain in 1991 under the supervision of Professor Sir John Meurig Thomas. She was a research fellow at National University of Singapore (1992-1995), an assistant professor at Nanyang Technological University, Singapore (1996-2000) and a senior scientist at Grenidea Technology, Singapore (2002-2010). She is a professor in the State Key Laboratory of Inorganic Synthesis and Preparative Chemistry, Jilin University since 2011. Her current research evolves around the organization and functionalization of hierarchically structured materials based on the self-assembly and mineralization of biological molecules. She has published some 60 peer-reviewed papers, 1 international patent, co-authored 1 book and contributed 3 book chapters.